Guys, I have a question about using 3D Warehouse models. 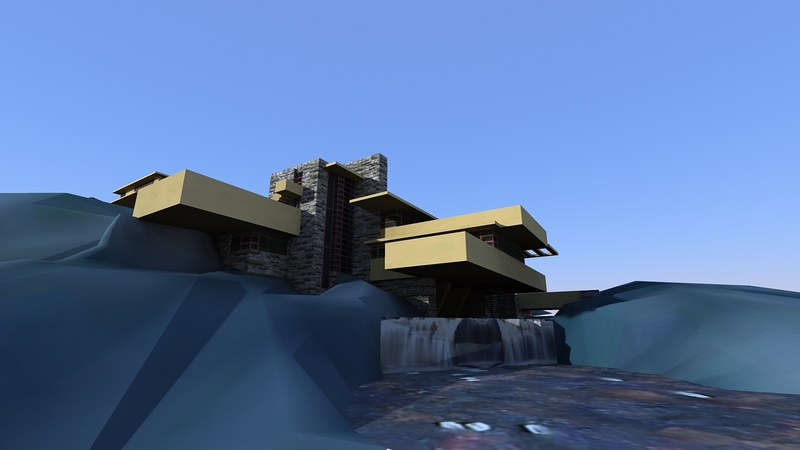 I found this nice model of "Falling water" in 3D Warehouse. I want to render it and pretty it up and use it to show some generic example rendering styles to my clients, maybe put up some renders on the web-site too. Is that ok? Does that violate anything? I noticed that with some models came a disclaimer that you are not supposed to use them for anything. There was no disclaimer that came with this model. What do you think? Ross, according to Googles Terms of Service anybody posting components in the warehouse foregoes any control over how the components are used. So any disclaimer about how they are used is pure fantasy. thanks a lot for pulling this up for me! now i can see that i can go ahead and render away! Correct, but I think it would be quite fair to mention somwhere original author. Yes, good idea, I'll find an appropriate place to do that if I do end up using it. I have a question about the textures from such models? Say you find arroway or some other nice textures. Here's one model packed with very usefull stuff. This author has posted some other nice models. I would urge a note of caution here. I think Google's terms of reference are related to cases where the author owns the copyright of the model. There are lots of instances on 3DW where people have converted commercial models to skp and posted them. Most of the cars fall into this category, which is why ours are in the free section of the browser. I suspect that (like YouTube) Google will remove 'stolen' material, or at least make it impossible to download.